His most recent business venture, Neuralink, intends to create devices that can be implanted in the brain, allowing humans to interface directly with computer software. Musk’s face and name have become inseparable from discussions on the future of technology. He’s seen as an authority on subjects that once resided in the realm of science fiction, such as artificial intelligence or colonizing other planets. Joshua N. Haldeman was born on Nov. 25, 1902 to John Elon Haldeman and his wife Almeda Jane at a log cabin in Pequot. Almeda (Elon Musk’s great grandmother) studied chiropractic care in Minneapolis, and after the family moved to Saskatchewan, she became Canada’s first known chiropractor. Her son Joshua would eventually follow in her footsteps. 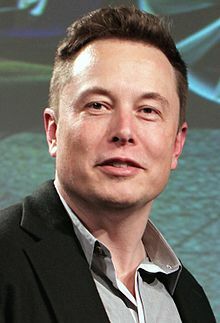 In 1906 when he was four years old, Musk’s grandfather, Joshua N. Haldeman, moved with his family to Saskatchewan from Minnesota. 44 years later Haldeman would pack up and move his own family to seek new adventures in Pretoria, South Africa. In 1926, Haldeman graduated from the Palmer School of Chiropractic in Davenport, Iowa. He ran a chiropractic practice for only a few years before trying his hand at farming. Haldeman returned to chiropractic care in 1936 and established a practice. He met his second wife, Winnifred, in 1942. Her first son, Scott Haldeman and three more children would follow, including Maye (Elon Musk’s mother) and her twin sister Kaye born in 1948. Like his father, Scott also began his career with an education in chiropractic care. He went on to become a neurologist, and is currently a professor at the University of California and the chairman of the Research Council for the World Federation of Chiropractic. More than just choosing the career path of a chiropractor, Joshua Haldeman was pivotal in building organizations and legislation to cement the profession in Canada. As Scott described it, his father built up the profession “from zero.” Haldeman is credited with drafting a chiropractic law to provide legal protection, which was approved by the Saskatchewan government in 1943. Ken Goldie, a semi-retired chiropractor now living in Lumsden, says Haldeman was highly respected for the work he did in solidifying the profession. “It was essential to incorporate chiropractic into a legislative body that provided the equality that other health care professions have, with respect to serving the public, and that onus of responsibility that comes with legislation,” says Goldie. Haldeman also participated in the creation of the Dominion of Canadian Chiropractors (DCCC), the precursor of the Canadian Chiropractic Association. While with the organization, he was involved with planning the creation of the country’s first chiropractic college, which opened in Toronto in 1945. A sense of adventure and dreaming big appears to run in the family. Nowhere is that currently more evident than in the latest generation with Elon Musk, who has set bold goals for the future of space travel and Mars colonization. “I work about 70 hours a week. He makes me look lazy,” says Scott. An adventurer, a world-renowned doctor, a super model and a titan of technology. There could be something in the family’s genes that breeds this success, or maybe it goes back to the way Haldeman brought up his children. “Dad always said there’s nothing a Haldeman can’t do,” says Scott.